In the words of the Kansas City Barbeque Society, barbeque is not just for breakfast anymore. This striking, full-color, 25th anniversary tribute to the world's largest and most respected barbeque organization features more than 200 recipes from members of the Kansas City Barbeque Society, whose appeal and following is worldwide. To celebrate its 25th anniversary, the Kansas City Barbeque Society is proud to serve up The Kansas City Barbeque Society Cookbook, 25th Anniversary Edition by Ardie Davis, Paul Kirk, and Carolyn Wells. Featuring more than 200 all-new, mouthwatering recipes (many from award-winning KCBS members and teams), this 25th anniversary edition also includes tips for competitive barbequing, juicy stories that shed light on life inside the barbeque society, and tons of beautiful full-color photographs. 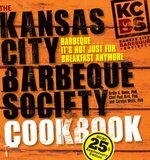 The previous Kansas City Barbeque Society cookbook has gone through seven printings since it was originally self-published by the KCBS in 1996. This 25th anniversary edition is a must-have for the libraries of professional and amateur barbequers--as well as an appetizing read for people who may not tend to the grill but do love to eat 'que. 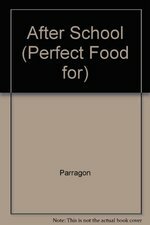 This book is packed with easy-to-follow recipes for all tastes and occasions. It provides fabulous photography of each finished dish.